Chamber of Commerce Executive Director Tucker Murphy offers the "Golden Shovel" award to Public Works Director Mike Pastore at the Chamber's annual awards picnic, June 13. When Tucker Murphy became executive director of the New Canaan Chamber of Commerce, her goal was to increase the engagement between the public and the business community. Now, five years later, Murphy believes she's reached that goal. Rebranding, a new logo, a stronger online and social media presence, more partnerships with the town's nonprofit organizations, and the Pop-Up Park are just some of the accomplishments of which she's most proud. Murphy, who also serves on the Town Council, said she was able to reach most of her goals, thanks to a group effort by the chamber's board of directors, the businesses and the public. "Our mission is to connect the community with commerce," she said. "That's the driving force of everything we do here." Murphy said one of the reasons why she loves running the chamber is her passion for New Canaan's village-style downtown. "Our downtown is not just an outdoor mall," she said. "It's also a place for people, residents (and) visitors, to come and see (other shoppers) ... We're very compact, very walkable friendly. That's the beauty of our town. You come down and you feel good when you leave." New Canaan's downtown, however, has been going through many changes recently. The New Canaan Post Office, for instance, moved out of its longtime location on Pine Street in January to a temporary location on Main Street. Parking in the business area has been a challenge lately, especially after Town Hall closed last year for renovations. Murphy said she believes the post office soon will find a new permanent location, but she said parking is "ongoing and will continue to be a problem for New Canaan," at least until the Locust Avenue lot is expanded. Last month, the Board of Finance deferred the project, which was on fiscal year 2015's budget proposal, to fiscal year 2017. Another big change that may be coming to town in the next few months is natural gas. Town and Yankee Gas officials signed in December a memorandum of understanding for the implementation of natural gas in New Canaan. "When and if it happens, (there) will be a disruption for some time," but it'll be a positive change for the businesses, Murphy said. The town's 2014 Plan of Conservation and Development, a state-mandated document meant to guide growth and development in New Canaan over the next 10 years, may also affect the business community. The document's proposed plans for downtown include considering the creation of a new zoning district on the west side of the business area, expanding parking, encouraging mixed uses (residential and business) in certain areas and considering increasing the allowed limits on building height. Murphy said she's excited with the plan. "It's very important because it's going to set the stage of what we do," she said. First Selectman Robert Mallozzi said Murphy has made the New Canaan Chamber of Commerce a role model for how one should operate in a community. "We're very lucky to have her in that role," Mallozzi said. 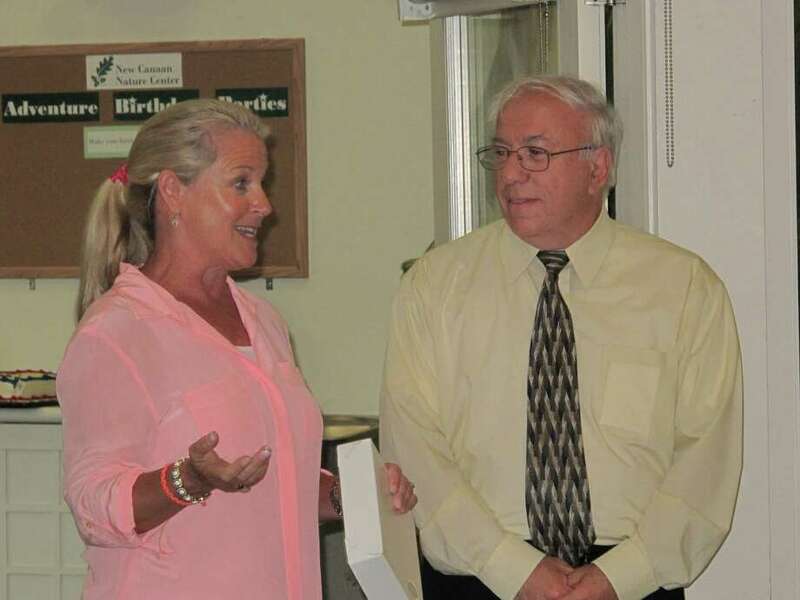 "She has dramatically improved the chamber's interface with the Town of New Canaan and the businesses. Her energy and desire to roll up her sleeves and find solutions to issues for merchants and traffic are really admirable." Pauline Dora, owner of Design Solutions, 146 Elm St., said Murphy's energy does not compare to previous chamber directors. "Tucker is amazing. She works hard and she's done so much for the businesses and the town," Dora said. For the next five years, Murphy, who has worked as business manager for Dora's Design Solutions, said she wants to focus on improving current projects and programs. "Rather than coming up with new ideas, I want to take what we already have and do it better," she said. One of the projects she plans to expand and improve is the Pop-Up Park. For the third consecutive year, the park will be set up on the corner of Elm Street and South Avenue during the summer. This year, the park will be out from Friday to Sunday starting Memorial Day weekend through Labor Day weekend.